The path that leads a soul from God If someone finds themselves a million miles away from God, how did they get there? They of course followed a path that took them there. Ephesians chapter 4 describes that path, and tells us both where it starts and where it ends. Our heavenly Father has a strong desire to reveal Himself through the Christian. But how does this happen? In Ephesians Chapter 4, the Apostle Paul reveals how God's plan to work through us takes place. 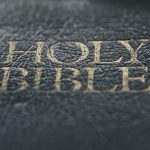 What does a life committed to God look like? Different religious groups promote different ideas on what God expects from us. You and I do not need Church leaders to tell us what that is. 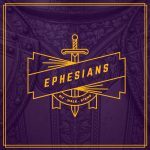 In the forth chapter of Ephesians Paul lays out in simple to understand terms what the desires of God are for us concerning how we are to live. Join us in our study of Ephesians four to discover the Will of God for your life.